After a well-earned four-day break, the Northeast Division-leading Connecticut Whale looks to extend their latest points streak to four games when they visit their intrastate rival Bridgeport Sound Tigers on Monday night. The Whale headed to the Christmas hiatus off a dramatic 3-2 victory over the Adirondack Phantoms on Wednesday night, on defenseman Pavel Valentenko’s 50-foot laser with 16.2 seconds left off a faceoff win by veteran center Kris Newbury. Defenseman Brendan Bell, who assisted on all three Whale goals, touched the puck to Valentenko for the second winner of his life, the first coming only nine games earlier in a 4-2 win over the Hershey Bears on Nov. 29. 9,276 witnesses at the XL Center on Saturday, on a night that the franchise honored Gordie Howe and his family no less, watched the Connecticut Whale come crashing off the wall like Humpty Dumpty and put forth one of their worst efforts of the season in a fight filled, undisciplined and very sloppy 5-1 loss to the visiting Bridgeport Sound Tigers. 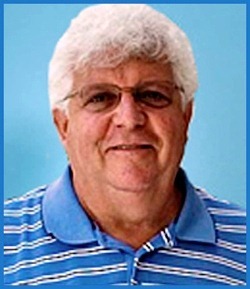 Mitch Beck spent over 20 years as an on-air radio personality and Standup comedian. 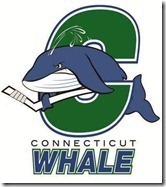 He is self employed and has been reporting on the Hartford Wolf Pack / Connecticut Whale exclusively since 2005.